Written by Daniel Cady and Warren Hamilton Jr. I like independent movies. Sometimes they’re derivative, trying to cash in on whatever made a lot of money recently, but they can also allow creativity to flourish outside of the scrutiny of corporate oversight. In some cases, these films can rise above the setbacks of low budgets and inexperience before and behind camera to give us a refreshingly novel approach. I’d like to make the case that Kiss of the Tarantula is such a gem. 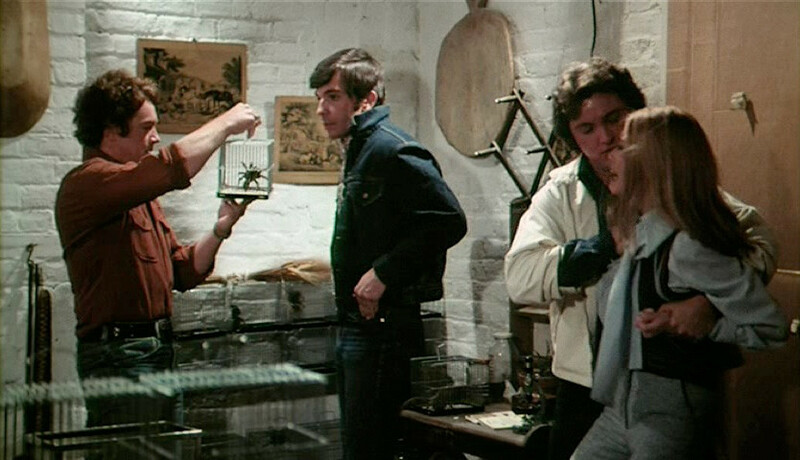 On the surface, the story is Willard (1971) with red knee tarantulas. Susan (Suzanna Ling) is a social outcast, living at home with her father. She feels a special bond with her pet tarantulas, particularly one named Jennifer. When some young men kill Jennifer, she decides to use her friends to get revenge. There’s enough similarity there that you could say there’s a clear influence, but its uniqueness is in the details. They came to steal a coffin and wound up killing a tarantula. First off, Susan had loved spiders since she was a kid. The first scene is her, as a little girl, raptly watching a garden spider. Her mom destroys its web and admonishes Susan for being so fascinated by it. A few years later mom catches her playing with a spider inside and kills it. When Susan overhears her talking to Uncle Walter (Ernesto Macias) about killing her husband and sending her daughter away, she introduces a tarantula to her mom and creates a single-parent household. From then on all is peaceful, so long as Susan’s life remains undisturbed. Mom and Uncle Walter make plans. That’s the background. The real story involves her evading Walter’s advances while exacting revenge on a group of peers who torment her. Susan’s only friend is away at college, and one of her victims has a job, so I assume that these are all former classmates shortly after high school. That puts everyone in a place seldom seen in horror films. Youths are typically students, whether in high school or college, or sometimes young professionals. This is much more working class, where a lot of people have to figure out what to do instead of pursuing a degree. Get used to seeing this shot. Another interesting difference in Kiss of the Tarantula is that it’s an animal attack movie in which the animals never actually attack anyone. There’s not so much as a single spider bite over the course of the movie. Every death initiated by Susan is the result of fear. Horrible accidents, heart attacks, suffocation — nothing that a medical examiner can use to pin it on spiders. Nothing except for a partial tarantula leg, that Walter leaves out of evidence. Susan buries Jennifer in one of her killers’ coffin. Did I forget to mention that Uncle Walter is a detective? 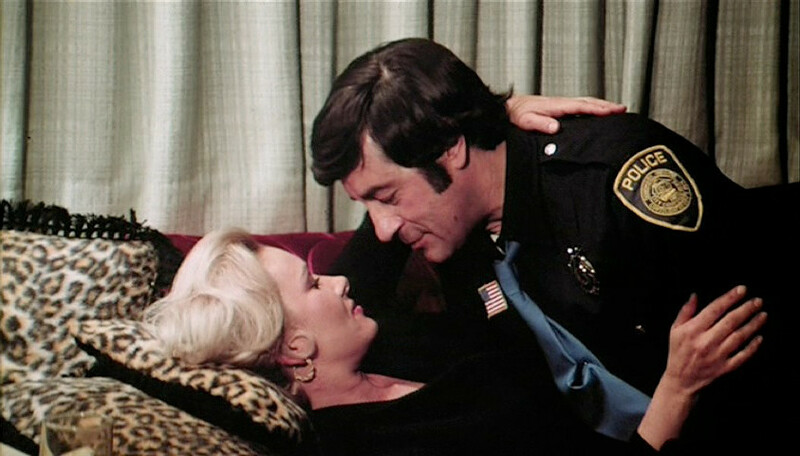 Indie filmmakers in the 1970s loved incestuous cops. I’m basing that purely on this and Blood and Lace (Vic Tayback, nooooo! ), but I’m willing to call that a trend. In an era of anti-authority, who’s more of a boogeyman than a male relative who is the law and wants you under his sexual power. Walter hides the evidence of tarantula involvement and uses the investigation to press Susan into a closer relationship. While Susan is the primary killer in the film, her uncle is the worse villain. His actions are motivated purely by forbidden lust, and he doesn’t care who dies along the way. She at least is sad when uninvolved people suffer from her revenge. Uncle Walter lets Susan know she owes him. 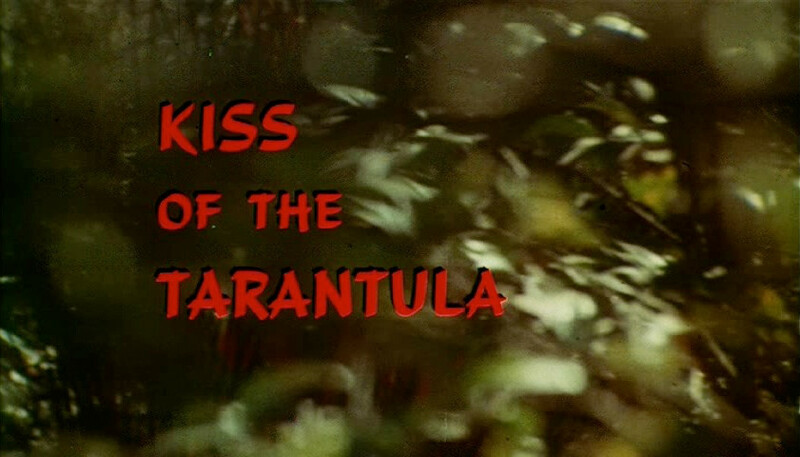 Kiss of the Tarantula has some of the faults associated with independent films. It’s a bit slow, though not excruciatingly so. The acting is of varying quality (it’s the sole appearance for much of the cast, including the lead). There’s experience behind the screen, though. The editing is quite deftly handled during the spider sequences. You’d swear that there were dozens of tarantulas in the car scene, but it’s really only one or two at a time in tightly framed shots. Sequenced together in rapid cuts, it becomes an all-out attack. What I’m saying is that I like this one despite having some problems with it. It’s a nasty little story with some surprising plot twists, and that goes a long way with me. Tags: Beverly Eddins, Chris Munger, Daniel Cady, Ernesto Macias, film, Herman Wallner, horror, Jay Scott, Kiss of the Tarantula, movie, Patricia Landon, review, spider, Suzanna Ling, Tarantula, Warren Hamilton Jr.